Can I Substitute Half-and-Half for Heavy Cream in a Chocolate Glaze? 4 Can I Substitute Half-and-Half for Heavy Cream in a Chocolate Glaze? Chocolate can be traced back to Mexico and Central America, spanning over 2,000 years. Made from cacao beans, this rich confection is a much loved treat throughout the world. A scrumptious idea is to melt chocolate and use it for dipping your favorite items including strawberries, marshmallows, cubes of bread, dried fruit and cookies. Any kind of chocolate can be used, such as milk chocolate, bittersweet, dark chocolate and semi-sweet. Chocolate bars work better than chocolate chips because the chips contain less cocoa butter, which makes them harder to melt and stay liquid. Chocolate should be stored in a cool, dry place with temperatures around 60 to 75 degrees Fahrenheit. Once temperatures reach above 75 degrees Fahrenheit a foggy coating called "bloom" appears on the surface of the chocolate affecting the taste. "Bloom" is caused by the cocoa butter rising to the surface of the chocolate. Melting chocolate is fairly straightforward, but following these tips will create a smooth and creamy dipping chocolate every time. 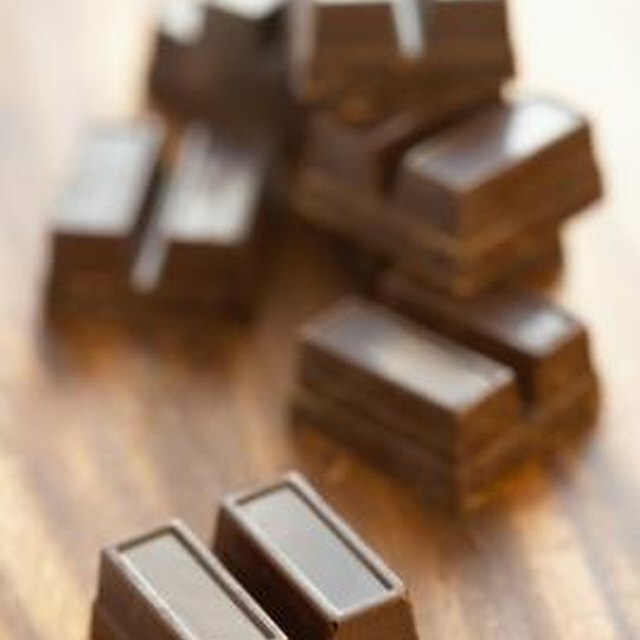 To ensure even melting, break or cut your bar of chocolate into 1/2-inch pieces, or grate the chocolate. Always melt slowly over very low heat since chocolate can burn easily, especially milk chocolate. Another option is to use a glass bowl set over a pan of hot water so there is no chance of scorching the chocolate. Never walk away from the melting chocolate; stir frequently and gently. And make sure your work surface, utensils, pot or bowl are completely dry before beginning. Do not let any water or moisture get into the melting chocolate or it will ruin the texture of the chocolate, making it grainy. 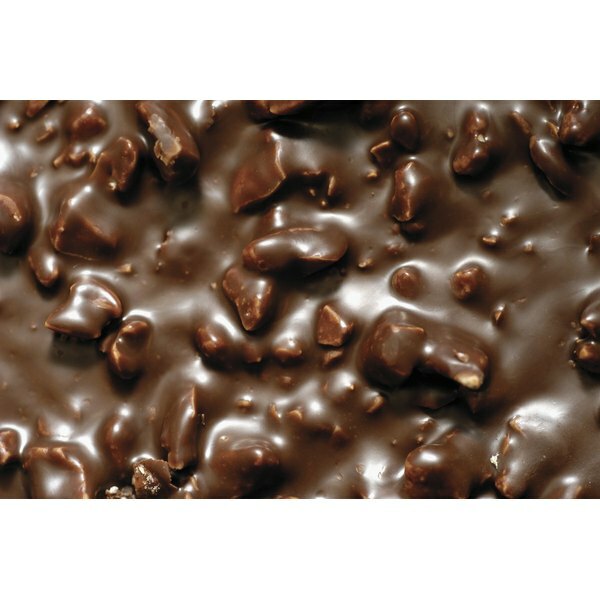 Tempering is the process of heating and cooling chocolate for dipping or coating purposes. It works by stabilizing the cocoa butter in the chocolate, which results in a glossy shine that holds its shape. About 2/3 of the chopped or grated chocolate is placed in either a double boiler or a glass mixing bowl, then placed over a pan of simmering water or hot water. The hot water will need to replaced occasionally as it cools down. The chocolate is constantly stirred until it has melted and reached temperatures of 110 to 113 degrees Fahrenheit on a candy thermometer. Do not let it go above 113 degrees or it will be scorched. Once melted, the pan of chocolate is set aside to cool to 95 to 100 degrees. The remaining 1/3 of chopped or grated chocolate is added to the pan or bowl and stirred until it melts into a smooth, creamy mixture. The melted chocolate can be used for dipping fruits, bread or cookies into.